Today was a great day…I was at our Manhasset campus. It worked out that one of our new volunteer worship leaders was leading and we needed someone to run audio. That was me. I got to formally introduce Chris and encourage the congregation to support him. He did an amazing job and I’m so excited to see the Lord move powerfully in him. It was a blast to mix the band. Mixing is such an art and it was fun to try my hand. I think it turned out pretty well. It also gives me great respect for our guys and gals who serve weekly. 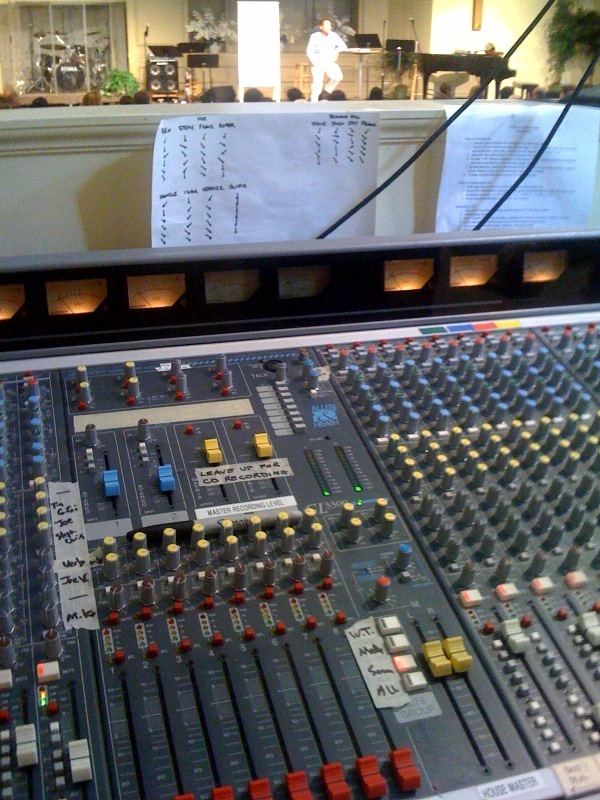 Between mixing and recording CDs it is not an easy job! Check out more setlists here.